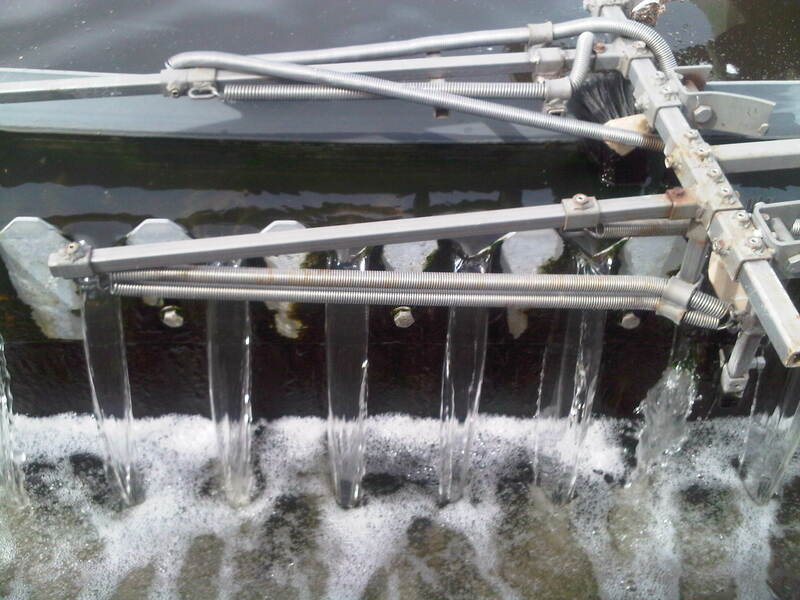 An automated cleaner passes along the weir of a secondary clarifier. Thomas Brightbill is a Bay Area civil engineer with experience in water, wastewater, stormwater, natural gas, and public finance projects. This entry was posted in Sewer. Bookmark the permalink.